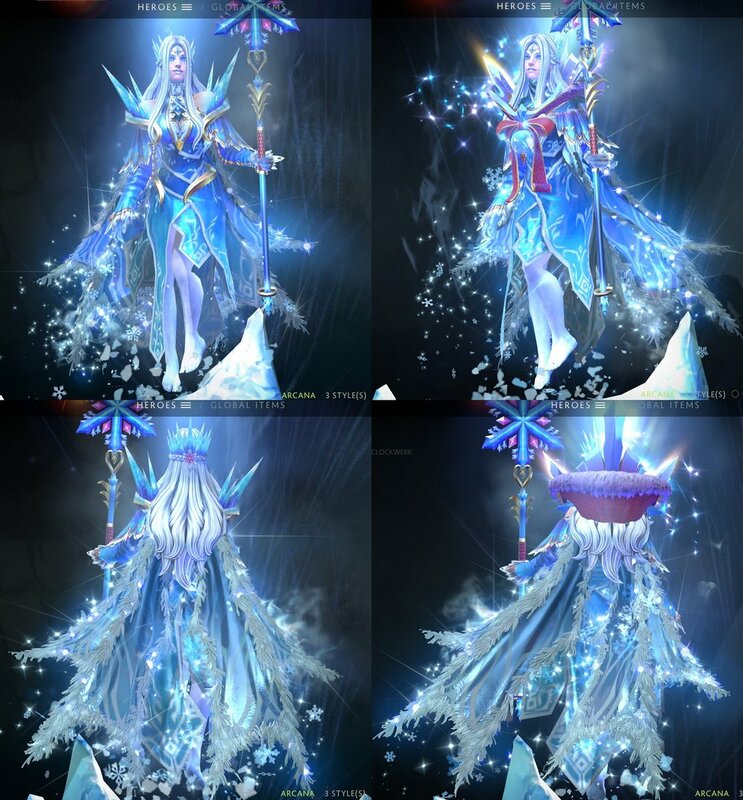 Find out the best sets and skins submitted for Frostivus 2017. Valve extended the deadline for the Call to Arms contest to November 24. Page regularly updated. 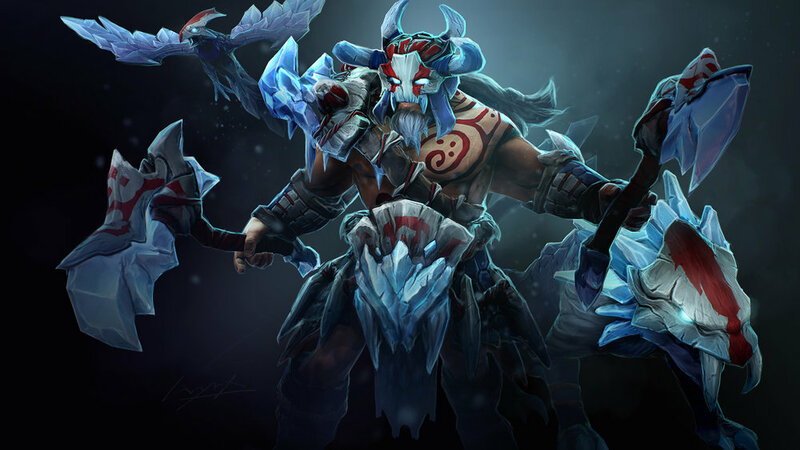 In October, Valve announced they would accept submissions from the Dota 2 community artists based on the theme of Frostivus. The best ones will be released in the game with a new treasure chest. At first, all entries had to be submitted by November 20. But, following some updates and bug fixes that were affecting the workshop, they decided to to give the creators four more days to polish the sets. After spending hours exploring the Dota workshop, I present you the best sets I found so far. If you like a set, don’t forget to vote each single piece in the workshop! Let’s start with these super cute wards created by MisaMisa. Honestly, I would buy the treasure just for them. This Gyrocopter’s set is also one of my favorites. Available in three different styles, it can adapt to any situation. Author: DNADota. This Batrider caused some discussion on Reddit because the hero isn’t riding a bat :). But, considering the Manta Marauder released in The International 2017 Collector's Cache, I believe that Valve won’t have any issue also with the snowy owl. A note: both this set and the Manta one have been created by DNADota. A classy Windranger that is well equipped to fight also during a snowstorm. Author: liangbinge. MisaMisa created also a set for Tusk. Father Christmas could punch you this year. There are different sets for Lone Druid submitted for Frostivus in the workshop, but I do really love the bear of this one. Author: sir_AXE. This Beastmaster by HyrX is characterized by a custom boar and hawk. Credit to Pemberton for sharing this set! A true ice king by keinhangia. Your opponents won't stand a chance against the power of the new greatsword: Glacial Excalibur! Dr. Robo created a perfect ward to celebrate Christmas! If you think that a great set is missing in this list, let me know in the comments as I will keep updating this page until the end of the event! Credit: The images/gifs in the header and in the entire article are a property of the respective workshop artists. Valve released the Treasure of the Venerable One to celebrate Singles' Day 2017. The treasure is discounted by 20% during this weekend, prior November 13. Valve invited all the Workshop creators to submit their creations for The International 2018 Collector's Cache, which will spotlight a subterranean theme.